In addition to co-founding the Posies, Ken Stringfellow has served time in legendary acts like R.E.M. and Big Star while occasionally releasing solo material. This fall, he will go it alone once again when he releases the album Danzig in the Moonlight via Spark & Shine. The disc was recorded at ICP Studios in Brussels, Belgium, and mixed by production team TheLAB. A press release describes the results as containing "moments of fearsome electro-tinged menace, balanced with some intensely intimate fragility," making for an album that is "multi-national, genre-defying, challenging and deeply musical." 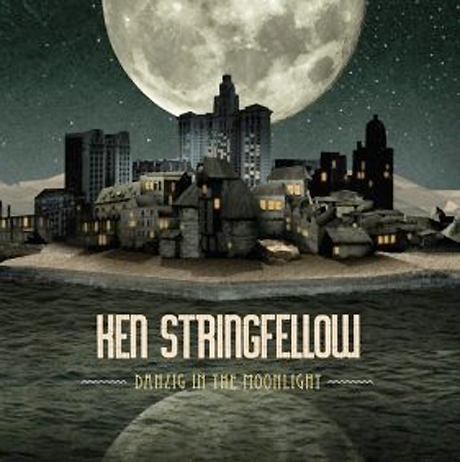 Danzig in the Moonlight follows Stringfellow's 2004 solo outing Soft Commands. Get a taste of his new music by checking out the rustic acoustic duet "Doesn't It Remind You of Something," which features Charity Rose Thielen of the Head and the Heart. Curiously, vinyl copies of the album replace Thielen's part with a cameo from comedienne Margaret Cho. See the tracklist below, and pre-order the album in a variety of deluxe bundles right here.